A couple of years ago, I discovered Unfuck Your Habitat on Tumblr. If you aren't aware, UFYH is all about accountability and motivation. When I’m at my worst, I cannot think of anything worse than grabbing the hoover and giving the carpet a good go or tackling the growing mountain of dishes. This obviously doesn't go over very well with Dave, but sometimes it’s just the way it is. One of the fundamentals of UFYH is breaking down cleaning into manageable chunks. These are 20 minutes of cleaning and 10 minutes of rest. 20 minutes isn't really a lot of time, and is certainly a lot less daunting than the thought of an endless list of things to do. They have a fantastic post on their website about The Depression/Messy House Cycle that I think you should definitely read. 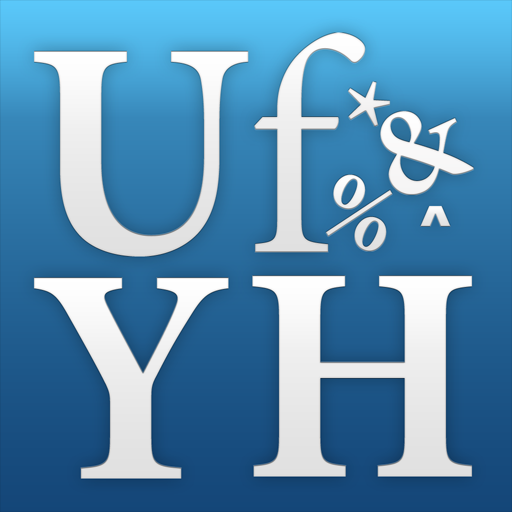 When I bought the UFYH app, I started using the 20/10 timer quite a lot. I tend to leave things to build up so long that when I finally do try and tackle the cleaning, there's a list of things to do as long as my arm. This turns into marathon sessions, in which I either get distracted or so overwhelmed that I literally have no idea where to begin. Using the 20/10 timer helps break it down into manageable chunks. I mean for me, it's a load easier to clean for twenty minutes at a time, than to just tackle my list until I want to fall down. Cleaning helps me get myself together. I instantly feel a little better when I manage to tackle my growing pile of clothes in the bedroom or wash the mountain of dishes in the sink. UFYH also comes with random challenges and challenges by rooms. If I'm lacking inspiration, I'll put on a random challenge and start there. This is definitely one of my all-time favourite apps. I'm not brave enough to show any before and after, but I can assure you that my before photos are the stuff of nightmares. If you struggle to keep on top of your cleaning, or just need a little kick of motivation I'd definitely recommend this app for you. You can buy it on the App Store for iPhone or Google Play store for Android. How do you keep on top of your cleaning? Leave me some helpful tips in the comments! Oooo I love the sound of this app! I go through phases with 'cleaning', like our place is clean but it could be better, it could be more organised and what not. What gets me in the mood for a good clean is watching 'Horders' or 'Obsessive Cleaners'! I see that and I'm like 'nooooo' and everything gets a scrub! I also have a couple of 'housewife' you tubers I follow and they make me want to be a better homemaker so that gives me a kick too! If all else fails I invite my Mum down...if I know she's coming I clean like my life depends on it...cos it kinda does! Haha!